A practical art course using the art and culture of different parts of the world as inspiration. 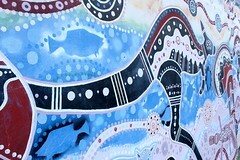 Previous areas studied have been Aboriginal, Indian, African and Japanese art . These may be revisited and added to.